There is nothing quite as relaxing and luxurious in your designer homes as an outdoor shower. Whether you decide to install a minimalist piece to suit your interior design, or you go all out, an outdoor shower could be the refreshing touch your outdoor space home decor needs for the warm summer months. 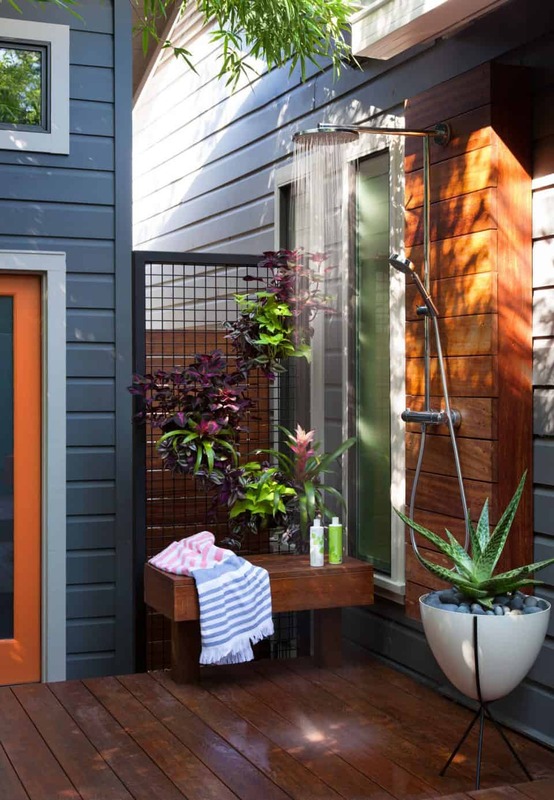 The following outdoor shower ideas will bring an invigorating touch right where you need it. Adding natural elements around will add to the “oasis” feel of the space in your beautiful homes. Consider having hints of color added to your oasis. The colors will bring vitality and beauty while still feeling natural. Keep the home interior space simple as much as you can. This is great when you have a smaller space. Why have a traditional shower head when you can have a spring oasis? A spring oasis showerhead is specifically created for the outdoor space that goes well with your other outdoor furniture design ideas. The reason for this is they tend to have a wider water coverage, which in return will give you a summery resort feel. Pair with a few plants for a complete vacation vibe.